Our Patent Flour in a bulk 50 pound bag. 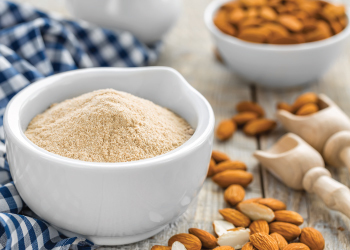 Honeyville's Beehive Patent Flour is milled from sound, scientifically cleaned and specifically selected spring and winter wheat to produce a premium quality patent flour. Beehive Patent Flour is a very strong flour with exceptional carrying power, excellent absorption and tolerance. This flour is unbleached; for a bleached version of this flour, try Honeyville Empire Patent Flour. Honeyville Beehive Patent Flour is an ideal product for your baking needs. Shelf-Life: Beehive Patent Flour will store for 1 year in a sealed 50 pound bag under ideal storage conditions (cool, dry place). Uses: Beehive Patent Flour is used for high quality breads and baked goods, including Italian breads, hard rolls, English muffins, pita breads, hearth breads and more. Visit our blog In the Kitchen with Honeyville to find delicious recipes for Beehive Patent Flour and more! 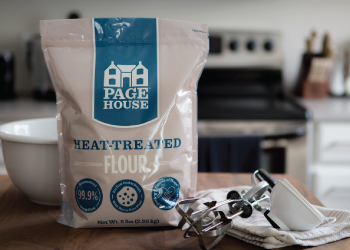 Packaging: Beehive Patent Flour in bulk is available in a 50 pound bag. Packaging may vary. Ingredients: Wheat flour enriched (niacin, reduced iron, thiamin mononitrate, riboflavin, folic acid), malted barley flour, and ascorbic acid added as a dough conditioner.